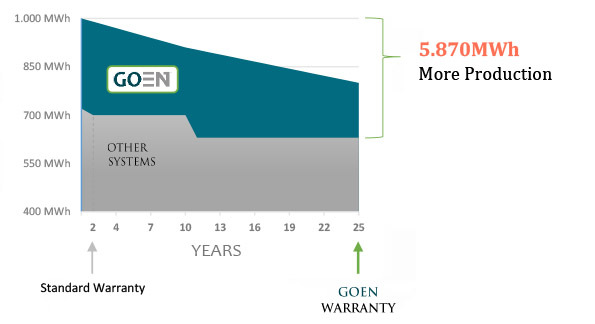 Prefer GOEN® Solar Power Plants to add value to your funds. Benefit of advantages you can't find anywhere else. 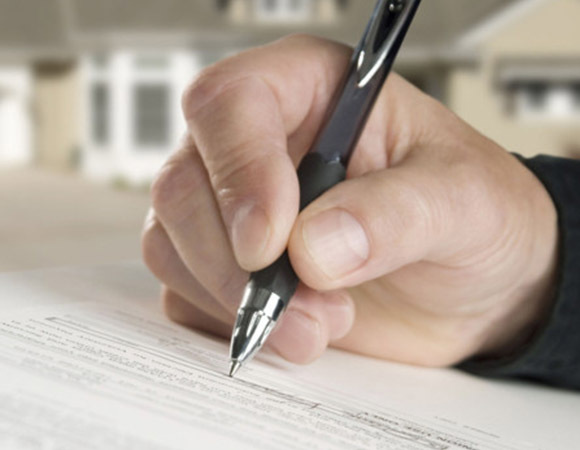 GO Enerji delivers all its services as turnkey. The Solar Power Plants are delivered with all the works already done from investment consulting to pre-evaluatings, from design to installation, from getting permissions to commissioning, ready to work. With the international experience and team of experts, GO Enerji offers 25 years of full guaranty for its Solar Power Plants.The GOENGES®' built with parts of highest quality of the world, have the performance of operating without interruption their long life long. The Solar Power Plants offered by the deep knowledge and high engineering skills procure more elecricity production than its rivals.This returns to you in more earnings. GO Enerji knows what its customers need.Protecting, managing your investments and increase of their performance is important.With its maintaining and operating services it offers you proudly the most extensive after sales service. Not only for earnings, but also for the environment the Solar Power Plants investment is the right choice. With this feature the first coice of investors around the world are Solar Power Plants. 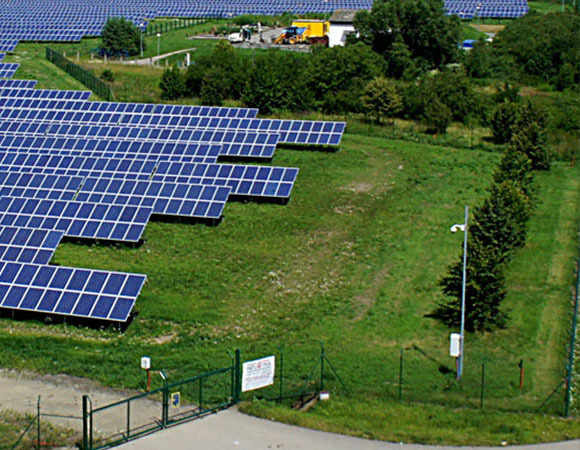 Solar Power Plants can be offered according to geographical location and the terrain type . A special product selection and design is applied to each investment area. GO Enerji is capable of offering plants suiting different athmospheric fields, and offers you solutions about finding a field. The plants start to produce electricity automaticallt as soon as the sun rises, and do all the processes by themselves. It's not necessary that the sun hits it directly. It's enough to have a bright weather. The Solar Power Plants of GO Enerji (GOENGES®) have the ability to produce more electricity than its rivals thanks to right engineering and high quality principals. More electricity generation means more income for you. 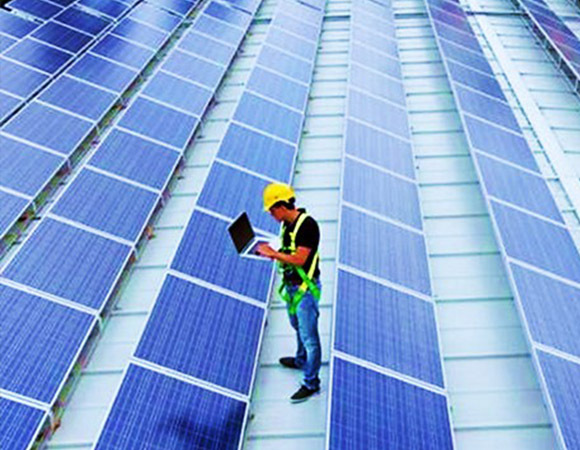 We offer with our experts team evaluations, analyzes, advices, and invesment feasibility report for the investors to the Solar Power Plant (GOENGES®). Prior to investment we offer in-site phsical measurement service, the measurement of irrediation on the referred field and reporting to legal offices. To monitor the performance of GOENGES® after its installation and to increase its performance, we control it with our special techniques,7/24 remote monitoring and reporting are within the scope of our sevice. Only informational news and actualizations are sent perodically.